Endurance for Everyone has little to do with weight, quickness, or even ability. It is meant to provide an inclusive atmosphere for the adult-onset athlete, where support and acceptance can go a long way in bringing everyone to a healthier lifestyle. It’s a way of thinking that doesn’t allow for obstacles to get in the way of the things you want to achieve. If you’re “fat” … so what? “Slow”? ….so what? It’s a way of saying, that no matter what my current obstacles are, I can get off the couch and train, and I can compete in and complete any race I set my mind to complete. It is the mission of Endurance For Everyone, LLC to promote the healthy participation in endurance events regardless of current fitness level. The leadership and members of teamE4E believe with proper and appropriate training, nutrition, and motivation, along with the support and guidance of a team, that everyone can complete, and even compete, in long course events. If you have ideas or general questions about anything I write about here or discuss on the Endurance For Everyone podcast or Facebook page, please shoot an email to teamE4E@EnduranceForEveryone.com. High-intensity interval training (HIIT), also called high-intensity intermittent exercise (HIIE) or sprint interval training (SIT), is an enhanced form of interval training, an exercise strategy alternating short periods of intense anaerobic exercise with less-intense recovery periods. Each of us has the capability to be great. It is there. The hard part is unlocking the barriers that prevent us from becoming great. Being honest with ourselves, being Self Aware, is important in this. It is the mission of Endurance for Everyone, LLC to provide coaching to everyone who wishes to have it at a reasonable and affordable rate. Our coaching philosophy is the same as the mantra on the back of our shirts; Swim Calm, Bike Strong, and Run Steady. The importance is placed on the mental aspect of the swim and developing form. Speed comes as the athlete becomes more comfortable with form and being in the water. Time in the pool builds confidence and racing builds confidence. If you are in the Tampa Bay area and would like to join a Masters Swim Team, teamE4E swim with the Tampa Bay Aquatic Masters. If you have questions about this club, fees, etc. contact us and we can help you get started. Longer rides will be on the weekend based on saddle time over speed, i.e. getting the body prepared for being in the saddle 4-7 hours depending on the event or race you are training for. Weekday training based on intense intervals over long rides unless your time permits otherwise. We also do occasional “Zwift Rides”. Search for teamE4E on Zwift and follow me (John Harris TeamE4E). When we set up a MeetUp we can include you on the invite. As heavy athletes, the run can be a painful experience so again we train for form over speed, using run/walk intervals that are geared toward both your ability and your personal target. We also encourage Zone 2 training on longer runs. Our coaches believe in the paradigm of not running over 70% of race distance. This is for injury prevention and speed of recovery. For further background on our training styles and methods, please refer to the Galloway Method and Hanson Marathon Training. You can also Google “Polarized Training” for a background as well. I personally do not believe in the high carb needs that are normally adhered to by endurance athletes. While I personally do not condone high-carb I understand that some have deep-seated beliefs in that method so nutrition is usually left up to the athlete themselves unless they wish my input. I believe we can train our bodies to be fat burners even during a race. teamE4E knows of a few local athletes who are certified in nutrition, so if you’d like for one on one help in this area contact us and we can connect you. Functional training attempts to adapt or develop exercises which allow individuals to perform the activities of daily life more easily and without injuries. In the context of bodybuilding, functional training involves mainly weight bearing activities targeted at core muscles of the abdomen and lower back. Functional fitness is headed by Coach Jennifer Diaz. For information on her background and pricing contact us and we can get you in touch with her. teamE4E Race Planning: $100: One-time plan (for a single Race event). One time follow-up at halfway point. TrainingPeaks not required for this level. teamE4E Endurance Coaching: $200/month: Weekly Personalized Training Plans uploaded each Monday. Results reviewed by the assigned coach. Follow-up via email/text. Access to coaching via text 24/7. Payment is expected on the first of each month through SQUARE invoices. Invoices will be sent a week prior to the email of record, with a reminder on the first of the month if payment has not been received. Non-Payment by the 5th of the month will result in cancellation of coaching services, with a $25 fee for reinstatement unless you contact your coach and make arrangments ahead of time. If you choose to pay one year in advance you will receive two months for FREE. For example, the cost for one year paying month to month is $2400. If you pay one year up front your total charge will be $2000. If you have a partner that will be sharing the same plan the charge will be 1.5 times the rate. For example, two people sharing the same plan will be charged $300 per month (or $3000 per year vs. $3600) as long as they stay on the same TrainingPeaks calendar. Clients in the Endurance Section are expected to have their own TrainingPeaks account. This can be at the base (free) level or the advanced level ($10) but metrics are not available at the base level and cannot be expected. Coaches reserve the right to terminate clients at any time. I do not consider myself an “athlete”, but rather a person who has been given several “second chances” at life and now choose to live it to the fullest. After cancer treatment, I decided to try running. I quickly figured out that I much preferred run/walk over running. But, I didn’t consider myself a “runner” because I didn’t run the whole time. I didn’t know anyone else who did run/walk so it was pretty much a solo experience. After discovering the (then FST), now E4E Facebook group and podcast, I realized that athletes come in all shapes, sizes, and abilities. We have some here who are very fast, some who are slow, beginners, experienced, heavyweight, lightweight. Some bike, some swim, some run (and run/walk), some do all 3. But there is a shared commonality. We all strive to be the “best we can be” with our fitness and health. I find great support, motivation, and encouragement here, and in turn, try to offer encouragement to others. Thanks, John, for your work on E4E FB and podcast. 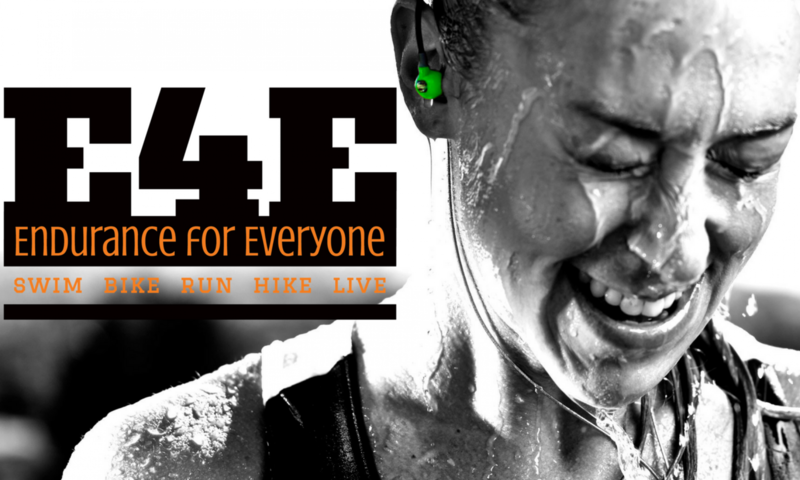 Nothing better for motivation on a Sunday morning long run than a fresh new E4E podcast! I am not a triathlete and am not overweight. I am also not particularly slow – I am a mid-pack ultramarathon runner who, as much as I love running, still struggles with issues around food and motivation. There are many trail and ultrarunning podcasts out there but I always look out for John and Randy’s because they speak openly and honestly about what it really takes to keep improving as an endurance athlete. They don’t isolate training issues from everyday life issues and that makes it very real and very relevant. Please keep it up, guys!